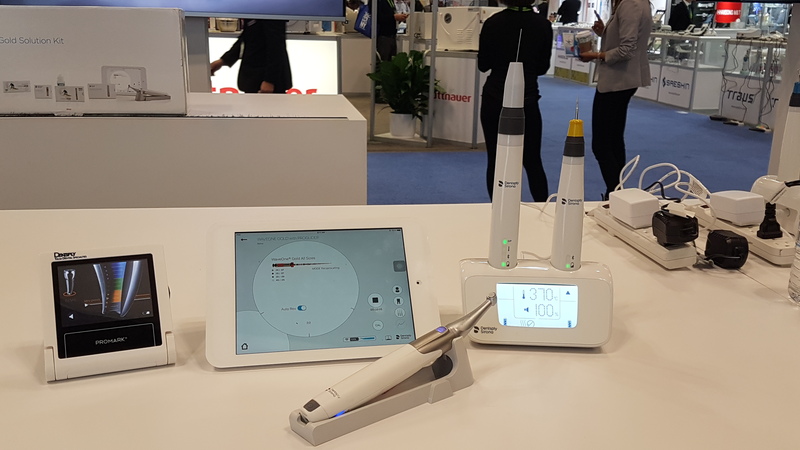 Digital dentistry technology was featured very prominently at the Greater New York Dental Meeting 2018, with a wide range of brands on display. This annual show brings the best of the best together in the United States to learn, discuss, and showcase the latest dental devices and equipment. 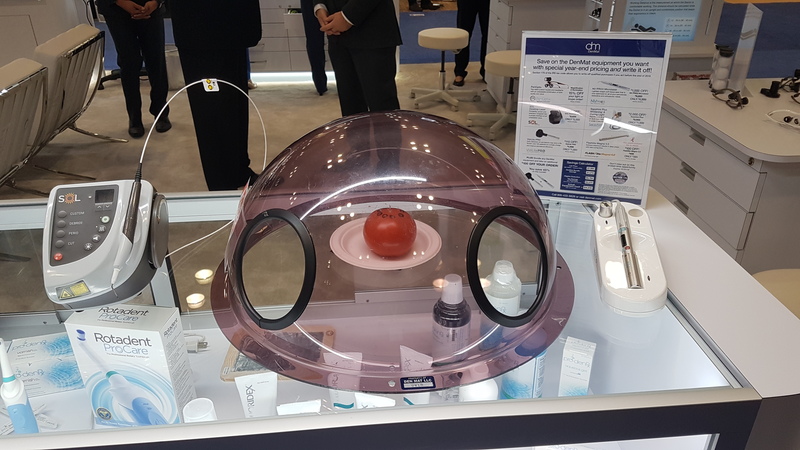 Most exhibits allowed dentists to view their machines in action, and Align Technology even gave away one of their iTero scanners for free. 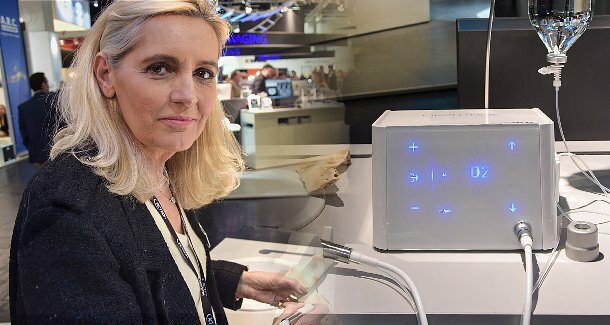 From CAD software to 3D printing companies, manufacturers and laboratories, the conference included exhibits for most major international brands, appropriately reflecting the crowded yet growing global market. A similar analysis could be made for the number of dental implant brands at the event. Some dental professionals described feeling overwhelmed at the number of implant brands available in the United States, a quantity which is still growing. “They’re all the same to me”, said one general practitioner attendee. The challenge for exhibitors is to convince dentists that’s not the case. 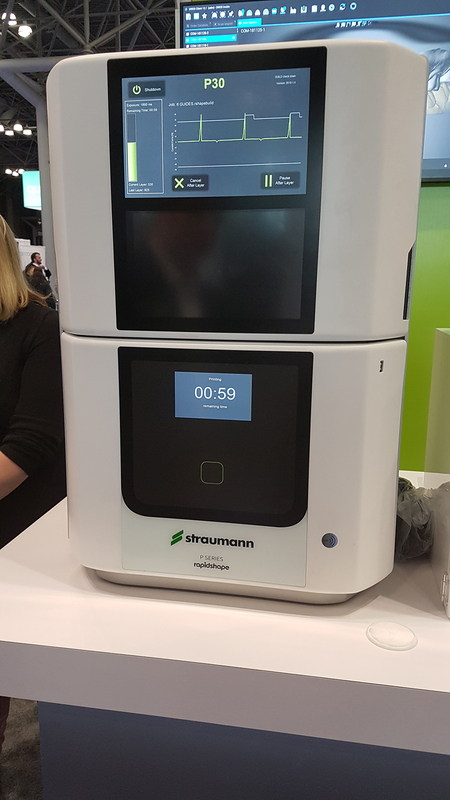 Straumann showcased their all-new Straumann CARES P Series 3D Printers and centralized printing service at this year’s GNYDM conference. 3D printing technology has been on the rise due to its widely applicable and growing potential across various medical markets including dental, orthopedics and endoscopy. “As clinicians start to ramp up their digital workflow with intraoral scanners, labs need to work in a space where we’re able to 3D print models faster than pouring conventional impressions. The Straumann CARES 3D printer is fantastic because it’s allowing us to produce a consistent, accurate print at a much faster rate of speed than some of the other printers in the marketplace,” says Brandon Dickerman, CDT, Dickerman Lab. Straumann’s 3D printer models can be customized with implant sockets and Gingiva masks and are available for quadrant models, as well as full arches. Other companies with 3D printers on display included SprintRay, with their MoonRay Desktop 3D Printer, and Kinetica’s iPrint 3D, a complete in-office 3D print and aligner solution. A.R.T. (Additive-Reductive Template) is DenMat’s latest innovation designed to simplify complex design cases, providing three options to address varying case types: No Reduction (additive only), Strategic (additive and reductive) and Idealized (additive and reductive). Minimally invasive dentistry has been gaining favor with both dentists and patients as it allows for the removal of the least amount of tooth structure to reach the desired esthetic result. Acteon recently released the Piezotome CUBE, an ultrasonic bone surgery device for more atraumatic and predictable extractions using high frequency, ultrasonic vibrations to reduce damage of soft tissue like nerves and arteries. Clinical studies have shown that patients who’ve used CUBE undergo faster healing with decreased pain and swelling compared to rotary burs, in addition to increased socket preservation, which enables immediate implant placement following the extraction. Dentsply Sirona’s endodontics portfolio has been steadily growing over the past few years. The WaveOne Gold Solution Kit brings together products designed to work together as one system to provide efficiency and confidence through every step of the endodontic process. Cordless Gutta-Smart handpieces are shock resistant, light weight and runs on a powerful lithium iron phosphate battery so a single charge allows for uninterrupted treatments throughout the work day. 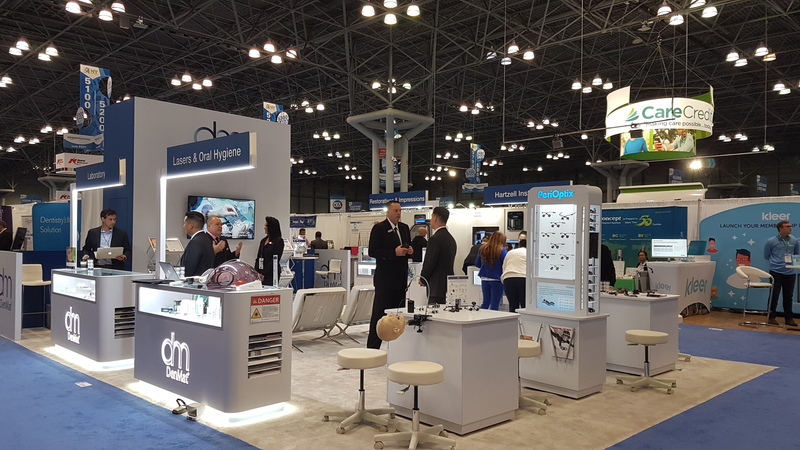 It’s was great experience to meet our clients and dentists face to face at the GNYDM8, walking the show floor, learning about new products and trends and getting to know how our market intelligence is currently helping many top dental industry players. If you missed meeting us this time around, contact us next year at GNYDM19 to have a live demo of our research – a rare opportunity to preview the actual data.